In my youth during the seventies, having discovered music I devoured whatever appealed to me at the time. I remember hearing Tokoloshe Man by John Kongos, liking what I heard and going out and buying the single. Still have it to this day. So who is John Kongos? Well if you look him up online you may see him referred to as a two hit wonder from the early seventies. While this may be true from his known recording output – two charting singles and two albums – it is not really the case. He had success in the early ’60s in his native South Africa, relocating to Britain to further his career. After his chart success he moved from mainstream music making into production where he pioneered synthesisers, working with Def Leppard and Mutt Lange in the ’80s to share his Fairlight experience. John’s four sons now perform as a band under the name Kongos, releasing two albums so far that keep the family name alive. This is another very good release from Esoteric Recordings, re-mastering and expanding John’s classic self-titled 1972 album and adding a further nine bonus tracks and an extensive updated booklet. He recorded his first album for Pye records on their Dawn label, this album being only available as part of a compilation set, before moving to Fly/Cube Records who released the Kongos album. The bonus tracks here are taken from the singles which he made for, and were released by, Fly/Cube Records. The album shows experimental and innovative writing for the time, his African heritage blended into the music by using tribal drum rhythms on some of the tracks (all pre-Graceland of course). There is a notable diversity of styles, with contributions from Ray Cooper, Caleb Quale, Ralph McTell and Rick Wakeman. The album contains his two U.K. charting singles, Tokoloshe Man and He Gonna Step on You Again, the former in a longer version than the single release. I always wondered what a Tokoloshe was, so while writing this review I decided to research it and it turns out to be “a mischievous and lascivious water sprite from African folklore”, possibly of Zulu origin. This is somewhat reflected in the song which starts with driving drum rhythms accompanied by guitar with the vocals seeming slightly distant. The song is driven along by the drumming with playfulness and pace, I still like it as much today as when I first heard it. The other hit single He Gonna Step on You Again is probably more familiar to some younger listeners having been covered by The Happy Mondays (re-titled Step On) who took it to number 5 in the U.K. charts in 1990. John Kongos’ original used a loop of actual African tribal drums in the song, indeed he has been cited by the Guinness book of records as the first to use a sample on a record. 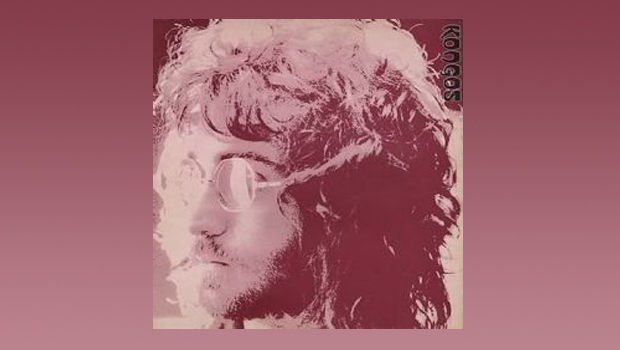 One of the major influences cited by Kongos was John Lennon, and although it is not obvious from his sound, it is more so perhaps in his song writing. This influence can be heard best, I feel, on the bonus track Can Someone Please Direct Me Back to Earth which has a Beatles sound to it. Another influence that can be heard is on Jubilee Cloud is the piano which gives the song an early Elton John feel, but this soon changes into an upbeat and catchy song. This influence is also present on Tomorrow I’ll Go, a gentle ballad. Even though these influences are there they are only fleeting moments throughout the songs and Kongos manages to create an individual sound, some with a seventies feel but many do not. The bonus tracks are of good quality and stand up in their own right despite some being B-sides of single releases, often thought at the time to be poorer songs but not the case here. You also get a chance to hear the single edit of Tokoloshe Man. This is a good re-release of a little known album which I have enjoyed – maybe I should have followed up my purchase of his single when I was younger, but hind sight is a wonderful thing. An enjoyable album which sounds good for its age due to an excellent re-master, full of well written and cleverly arranged songs. Progressive for its time with the use of sampling and tribal rhythms, it would sit well in your collection.